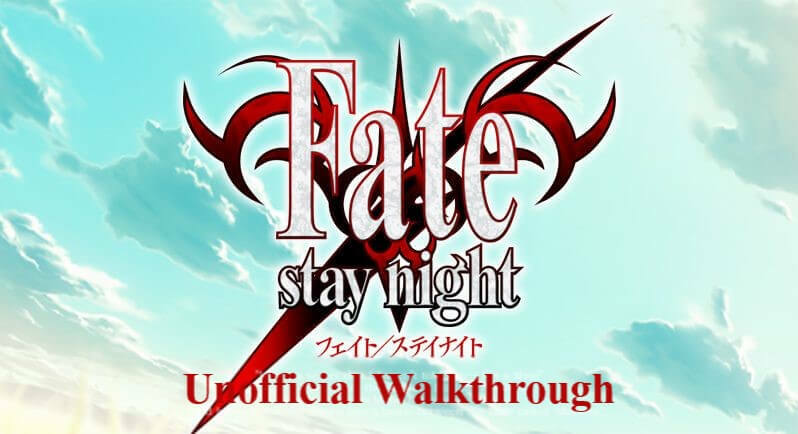 A 100% walkthrough for all routes of the Fate/stay night visual novel including all CGs, Tiger Dojos, and endings. And if you are wondering why I repeated this same text on every page, external links usually point to the pages for each route, so people often will not see this main page to read this. A complete walkthrough of the Fate route, including the infamous Tiger Dojo 13. A walkthrough of the Unlimited Blade Works route, completing both main endings with minimal repetition. A 100% walkthrough of the Heaven’s Feel route, instructing on all significant branches.